RoadThunder subwoofers are the perfect pairing for RoadThunder amplifiers. These subwoofers are designed for one thing; withstand any abuse thrown at them. 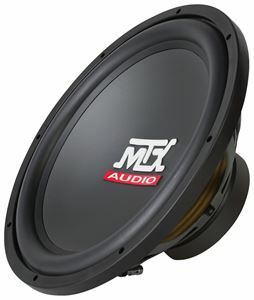 These subwoofers underwent some of the most stringent testing ever developed by the engineers at MTX to make sure they will continue to pound out brain shaking bass 24/7. 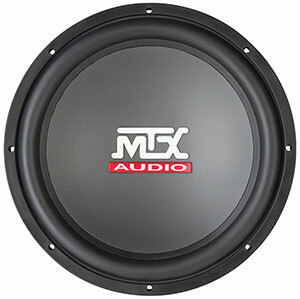 Utilizing an upgraded 8 layer, 2” aluminum voice coil, the RT subwoofers can handle extreme amounts of power without failure. 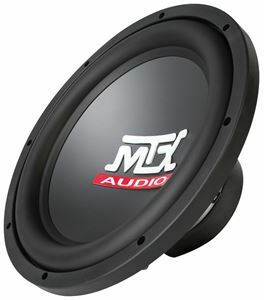 Incorporating MTX technologies like Spider Plateau Venting which mechanically cools the voice coil during operation and Asymmetrical Linear Drive System which ensures the subwoofer is only playing the sounds it is designed to produce, these subwoofers live up to their MTX heritage of delivering unbeatable performance at an unbelievable value. 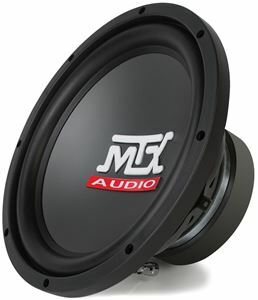 RoadThunder subwoofers are optimized to perform with class D RoadThunder amplifiers. Cut Out Diameter 13-11/16" 13-11/16"
Cut Out Diameter 10-13/16" 10-13/16"
Cut Out Diameter 9-3/4" 9-3/4"
Cut Out Diameter 7-1/8" 7-1/8"